GET ON THE FAST TRACK TO A NEW CAR. Take advantage of up-to-the-minute Live-Market Pricing on new vehicles. Our dedicated sales and finance staff will work with you to find the best solutions to fit your needs. *Ewald reserves the right to verify a competitor’s offer. Not valid on prior sales. Competing offer must be in writing and from a new car dealer from the same manufacturer in the state of Wisconsin. The vehicle must be the same MSRP, color and equipment for price guarantee to be valid. Guarantee applies to new, untitled vehicles. Demonstration, test drive units, dealer rental or service vehicles are not valid for comparison. 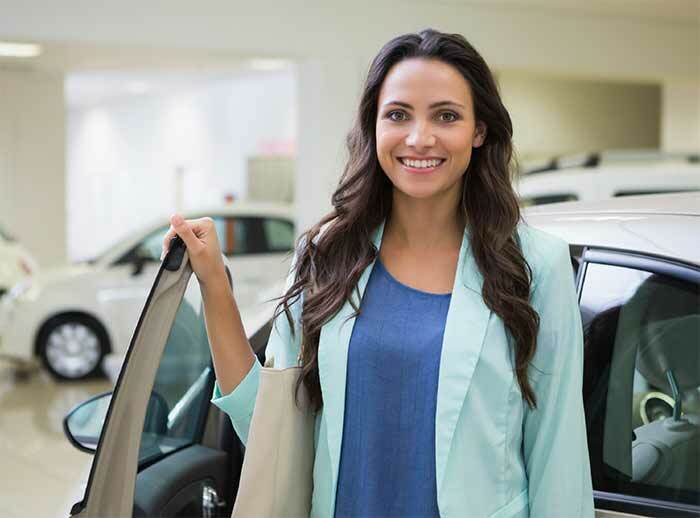 All manufacturer incentives, including finance or lease offers, are subject to consumer eligibility. Ewald Automotive Group reserves the right to factory order a like vehicle in order to honor the price guarantee. Limited production vehicles are excluded. See dealer for details. Ewald Automotive Group reserves the right to modify this policy for market conditions. Policy effective 1/1/17. SERVICE WITH MUCH MORE THAN A SMILE. Since 1964 we guarantee your service satisfaction or we will re-do the work or refund your money for up to 90 days or 4,000 miles from service date. All repair technicians are factory-trained and ASE certified. We’re the only Wisconsin based Automotive Group that guarantees quality auto service. 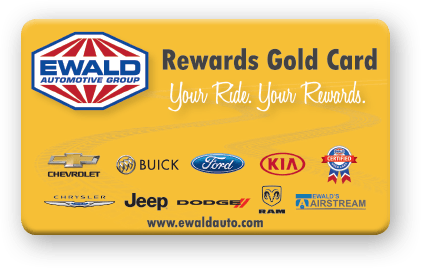 As an Ewald Rewards Card member, you are entitled to member-exclusive discounts, advance notifications of sales, complimentary services and best of all, build savings of up to $500 towards your next vehicle purchase, or savings on your next service visit. The Ewald Mobile App saves time and makes it easy to schedule service, view inventory, special offers, leave a review and much more. Download the free app for iPhone, iPad, & Android.